Every once in a while a trailer will come out that absolutely blows you away, not because of plot, but because of the sheer size of the cast. 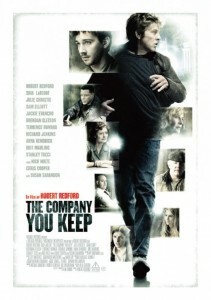 The Company You Keep is one of those films, boasting a number of Academy Award winners, up and comers, and well respected veterans. Robert Redford directs and stars in the film which follows a former anti-war militant trying to clear his name. Shia LaBeouf plays a reporter desperate for the scoop. The film has gotten lots of favorable reviews when it played at both Venice and Toronto film festivals last September. If the trailer is any indication, it will be a film many are buzzing about for the next year.